When creatures that belong outside make their way inside it can feel like your whole world is starting to collapse. Whether you heard the pitter patter of mice feet on your kitchen counters or you’ve noticed an abundance of flies buzzing around near your back door and you can’t figure out why, the result is usually the same–panic. 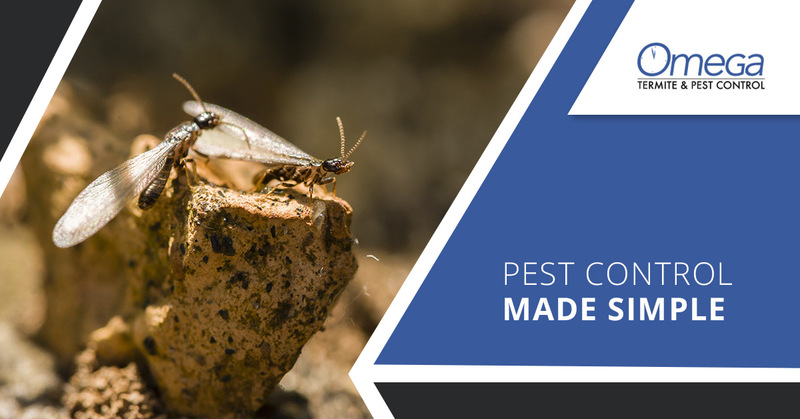 Although getting frustrated is often the first step, the good news is that Omega Termite and Pest Control in Nashville, we make residential pest control a breeze. We inspect and treat for ants, cockroaches, fleas, mice, spiders, beetles, earwigs, flies, rats, silverfish, ticks, and other annoying pests ensuring that no matter what situation you find yourself in you can get the help you need and make those pests a thing of the past. But how is it that we make the process so simple for you? That’s the topic of today’s post, so keep reading to learn more! Our team utilizes a number of different strategies in order to get rid of pesky pests as quickly as possible. With time-tested approaches to ridding your residence of these frustrating critters you can be certain that they will soon be a memory and nothing more. As a matter of fact, we proudly offer an unbeatable guarantee. If any covered pest problems arise between our scheduled visits, we’ll come back out and take care of the problem area at no additional cost to you. We know how irritating pests can be, but we’ll go above and beyond to get it right the first time around. If the pests somehow manage to work their way back into your home, you don’t have to worry because we’ll make it our top priority to come back out and make certain that the creatures in question are gone once and for all. Omega is a Nashville pest control company, but did you know that we also offer pest control services from White House to Goodlettsville and everywhere in between? We also specialize in termite control so if you’re looking for an exterminator who can get the job done the right way, turn to us! Termites cause around $5 billion in damages to homes every single year and as you know, wood is their preferred food. Because most homes are made out of quite a bit of wood, termites can do a lot of damage to the average home if not taken care of. That’s why no matter the pest, whether it’s rats, termites, spiders, or anything else, we’ll make our way to you quickly to treat the problem with an attention to detail that is second to none. We take great pride in doing our jobs the right way and that’s why when you choose Omega Termite and Pest Control you can count on us to make your pests a thing of the past. No matter your situation, we’ll be there to help. Contact us today to work with one of the top pest control companies in Nashville. ©2017 Omega Pest Control - Do not copy. All rights reserved.